Yu-Min Fang*, Kuen-Meau Chen, and Yi-Jhen Huang (2016, Mar.). Emotional Reactions of Different Interface Formats: Comparing Digital and Traditional Board Games. Advances in Mechanical Engineering, 8(3), 1-8. MOST 104-2410-H-239-008. (SCI; 2016 Impact Factor: 0.827; ISSN: 16878140). Chien-Cheng Chang, Yu-Min Fang*, Ying-Cyuan Chen (2014, Oct). Effects of Display Style and User Experience on Hand-Held GPS User Interface Design and Evaluation. Journal of Ergonomic Study, 16(2), 65-80. (ISSN: 2076-5517). Ming-Huang Lin, Yu-Min Fang*, Ching-Yi Wang (2011, Jan). A Preliminary Study of Applying ERP on Users’ Reactions to Web Pages with Different Presentation Formats. The Science of Design, the Japanese Society for the Science of Design (JSSD), Vol. 57, No. 5, P.89-P.98. (ISSN : 09108173). Ming-Huang Lin, Chien-Wei Teng, Yu-Min Fang* (2007, May). The Feature Manipulation And Cognition In Contemporary Vernacular Design. The Science of Design, the Japanese Society for the Science of Design (JSSD), Vol. 54, No. 1, P.77-P.84. (ISSN : 09108173). Yu-Min Fang, Chun Lin, and Sheng-Yi Huang. (2017, May). The Devices and Interfaces for Elderly Healthcare, IEEE confcrcnce procccdings: 2017 lnternational Confcrcnce on Applied System Innovation (ICASI), Sapporo, Japan. (EI, ISBN 978-1-5090-4897-7) p. 1438-1441. Yu-Min Fang, Yung-Ping Chou, and Bo-Cheng Chu (2016, Aug.). Health Information Display for Elderly People: Interface Attributes, Usability, and Emotional Reaction. IEEE conference proceedings: 2016 International Conference on Applied System Innovation (ICASI), Okinawa, Japan. (EI; ISBN: 978-1-4673-9888-6; Best conference Paper Award), MOST 104-2410-H-239-008 -. Yu-Min Fang*, Bo-Cheng Chu (2015, Nov). Interdisciplinary Design: Combination of Traditional Handicraft and Interactive Technology. INTERPLAY between design, science, technology and the arts, IASDR 2015 Congress (The International Association of Societies of Design Research), Brisbane, Australia. 2476-2490. MOST 104-2410-H-239-008 -. (ISBN: – 978-0-646-94318-3). Yu-Min Fang, Meng-Xian Sun (2015, May). Applying Eco-Visualizations of Different Interface Formats to Evoke Sustainable Behaviors toward Household Water Saving. The International Conference On Applied System And Innovation (ICASI 2015), Osaka, Japan. MOST 103-2410-H-239 -018 -. (Best Conference Paper Award 2015). Yu-Min Fang, Meng-Xian Sun (2014, Jun). The Exploratory Study of Emotional Valence and Arousal for Eco-Visualization Interface of Water Resources. 16th International Conference on Human-Computer Interaction (HCI International 2014), Crete, Greece. MOST 102-2410-H-239-015. (ISBN: 978-3-319-07856-4; EI, ACM). Yu-Min Fang, Yi-Jhen Huang, Bo-Cheng Chu, Chao-Wei Hsu, Chien-Cheng Chang (2014, Jun). A New Smart Wearable Device Design Based on the Study of the Elderly’s Mental Perception and Reading Usability. 16th International Conference on Human-Computer Interaction (HCI International 2014), Crete, Greece. MOST 102-2410-H-239-015. (ISBN: 978-3-319-07856-4; EI, ACM). Kuen-Meau Chen, Yu-Min Fang, Ying-Sin Lin (2014, May). Product Development of the Glasses Design – Color Imagery in Eyeglass Frames and Skin Tone. The Fourth International Conference on Digital Information and Communication Technology and its Applications (DICTAP2014), University of the Thai Chamber of Commerce (UTCC), Thailand. MOST 102-2410-H-239-014. (ISBN: 978-1-4799-3723-3, 2014 IEEE). Yu-Min Fang, Kuen-Meau Chen, Chao-Wei Hsu (2014, May). The Study on the Correlation between Emotional Design and Emotion – Taking the Conditioning Process of Lemonade for Example. The Fourth International Conference on Digital Information and Communication Technology and its Applications (DICTAP2014), University of the Thai Chamber of Commerce (UTCC), Thailand. MOST 102-2010-H-239-015. (ISBN: 978-1-4799-3723-3, 2014 IEEE). Chien-Cheng Chang, Tzu-Ying Chen, Chao-Fa Liu, Hsiu-Min Chen, Ying-Cyuan Chen, and Yu-Min Fang (2013, Aug). Concept Designs of Hand Held GPS User Interface. Proceedings of 5th International Congress of International Association of Societies of Design Research, pp. 4054-4061 (2013 IASDR Conference: Consilience and Innovation in Design, Shibaura Institute of Technology, Tokyo, Japan. ISBN: 978-4-9980776-3-3 C3072). Yu-Min Fang, Chao-Wei Hsu, Meng-Hsien Hsun, and Chien-Cheng Chang, (2013, Aug). The Exploratory Study for the Psychological Perception and User Attitude toward the Add-on Devices for the Elderly. Proceedings of 5th International Congress of International Association of Societies of Design Research, pp. 1439-1446 (2013 IASDR Conference, Tokyo, Japan. ISBN: 978-4-9980776-3-3 C3072). NSC 101-2218-E-239-015. Shyr, Yi-Hwan, Fang, Yu-Min, Cheng, Yuan-Hau, Sun, Meng-Xian, and Chen, Chien-Cheng, (2013, Jan). Adding Value to Company Branding from the Perspective of Service Design using P-Group Corporation as an Example. Proceedings of 2013 2nd International Conference on Economics Marketing and Management (ICEMM 2013 , ISSN: 2010-4626) , Dubai. 經濟部: 99-EC-17-A-29-S1- 0145. Ming-Huang Lin, Yu-Min Fang*, Shie-Heng Wu (2005, Jun). The Application of Eye Tracking on the Recognition of the Revival Chinese Kettle Design. 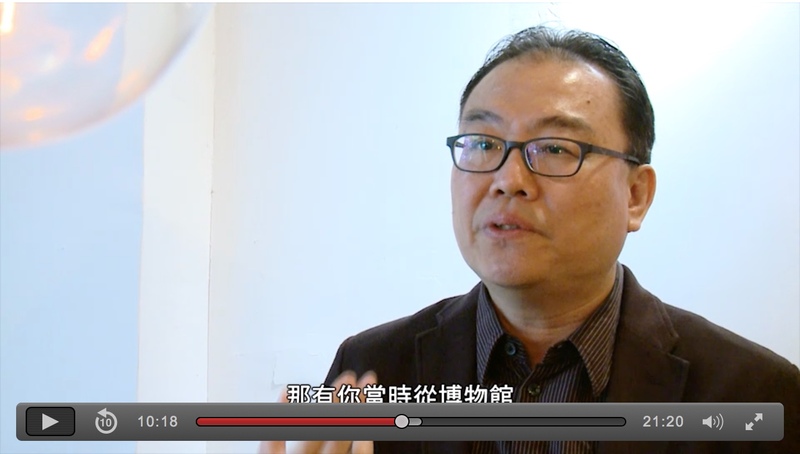 The International Design Congress – IASDR, 雲林，台灣.